Select and click for a larger image. Northern Sweetvetch. 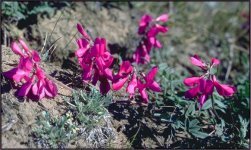 Utah sweetvetch. Boreal Sweet-vetch. Plains sweet-broom.